SMPs are the service provider most likely to be trusted by SMEs and are a source of business advice. 84% of SMPs provide some kind of business advisory and consulting service as standard. ICAS has created a new campaign to promote the immense value CAs bring to a business. Accountants remain the most trusted advisors to the engine room of economic growth despite growing competition, according to a new study by the International Federation of Accountants (IFAC). 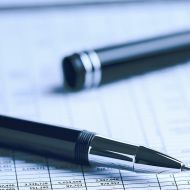 The review found that small and medium sized accountancy practices (SMPs) are the service provider most likely to be trusted by SMEs and are therefore the most common source of financial and business advice. It has long been recognised that SMEs are the powerhouse behind the global economy and this research has concluded that the important relationship they have with SMPs is vital to their business decisions. 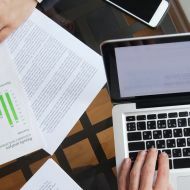 Due to the multitude of factors involved, client-advisor interactions are complex, but generally these relationships are long term and based on a solid foundation of trust and communication, IFAC said. This dynamic, along with an ongoing drive within SMPs to increase and diversify the array of business advisory services they provide, has allowed accountants to maintain a key role despite competition from other service providers. Previous research from IFAC found that a huge majority of 84% of SMPs provide some kind of business advisory and consulting service as standard. A number of factors were found to influence SMEs’ demand for advice, including competition, regulation, personal factors and the size and nature of the entity. The most important factors considered when selecting an advisor include the type of advice, the prior relationship with the accountant, the reputation and image of the accountant, the personality of the owner-manager and SMEs’ perception of the roles and competencies of accountants. Similarly, a 2013 study found that entrepreneurs who use professional advisors also perceive accountants to be the most trustworthy. IFAC CEO Fayez Choudury said: “Today’s SMPs are knowledge-rich service providers with great potential to expand beyond compliance to fill a variety of business advisory roles. The report highlights factors that can help them understand how to most effectively evolve and diversify their service offerings. ‘Make sure your adviser is a Chartered Accountant' aims to raise the public profile of ICAS and the value that a CA adds to a business by asking, ‘why would you trust anyone else with your business'? Find out more at ca.icas.com.